One Question, Why do you love Missoula? 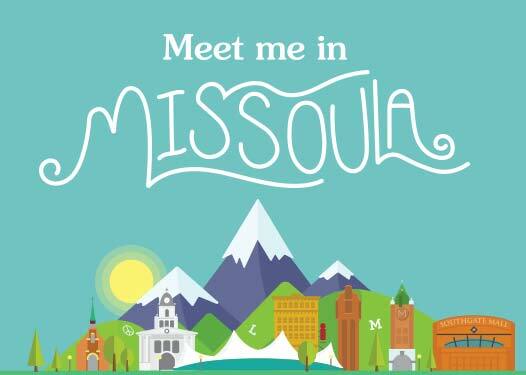 Watch the video below, and see why Missoulians love Missoula. For their 10th Anniversary, Liquid Planet put this video together and asked local Missoulains what’s their favorite thing about living here in Missoula. The video and message are inspiring. The answers were simple, and unique to why people in this town love Missoula. Why do you love Missoula? I am not from Missoula, or Montana or even a state with mountains but I have lived all over the country. In moving a lot, I have gotten to see and experience so many different places. I don’t think any of the other places I have lived would, or could make a video quite like this. The answers would be different, but the attitude and the feel would be lost as well. Missoulians love living in Missoula! With the views, atmosphere and activities, why would they not? Missoulians, in the video begin saying that they love the people in their city best, that the uniqueness and personalities are what make Missoula great is where Missoula stands apart from other great mountain cities. Not every place has that feeling, or community spirit. That something which is truly the heart of Missoula. As a newer Missoulian, I have experienced Missoula like a tourist and increasingly more and more like a local. Both sides of Missoula are fun, but I am glad that we are staying around here a while so I can experience more of Missoula. For me, I can say that my favorite thing about living here has been the people and their welcoming spirit. Oh and the coffee, do not let me not forget the great coffee. Missoulians love their local coffee scene too! So tell us, local or not…What’s your favorite thing about Missoula?